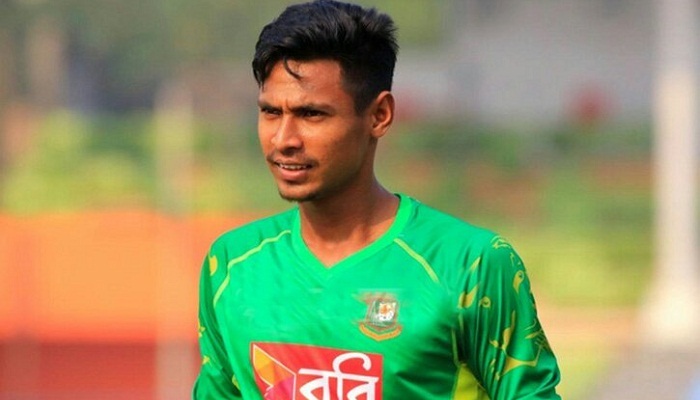 The Bangladesh Cricket Board (BCB) have decided not allow their pacer Mustafizur Rahman to play in the next edition of the Indian Premier League (IPL). The BCB refused to provide Mustafizur a ‘No Objection Certificate’ (NOC) for the upcoming IPL player auction. The Bangladesh management had decided in June to preserve Rahman this season with the target of keeping him in prime condition for the World Cup in England next year. The bowling sensation Mustafizur played a key role in Sunrisers Hyderabad’s title triumph in 2016 with 17 wickets in 16 games. This year he played for Mumbai Indians, suffering a hairline fracture on his toe. He was later released by Mumbai Indians ahead of the 2019 IPL auction. Eventually, he was one of the 10 players released by Mumbai Indians ahead of the 2019 IPL auction. The nine Bangladesh players who will find themselves in the IPL auction this season are Tamim Iqbal, Mushfiqur Rahim, Mahmudullah, Soumya Sarkar, Sabbir Rahman, Imrul Kayes, Abu Hider, Liton Das and two-Test old Nayeem Hasan. Shakib Al Hasan will be the tenth Bangladesh player to receive an NOC following his retention by the Sunrisers Hyderabad.